Art. 4, ANNEX I, table 1, under 2: conditions of use allowed for Ruminants, poultry, rabbits and hares; slaughter only for ruminants; slaughter, depopulation and other situations for poultry, rabbits and hares). Anoxia as principle: how does it work and is it the the next generation universal slaughter technique? Compressed nitrogen can be used as the source of the next generation universal slaughter technique. This idea is warmly welcomed by animal scientists for its ability to kill animals without noticing. 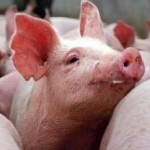 Religious slaughter: Should animals be stunned before slaughter? 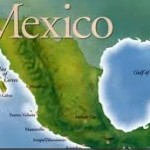 This article demonstrates a very interesting discussion on a highly political issue. Religious and non-religious groups are trying to find the answer to the question whether or not animals should be stunned before slaughter. Scientific proof that animals need to be stunned is openly questioned and rejected by religious leaders, who argue that conventional stunning is torture. 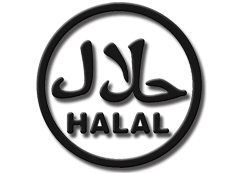 Under Jewish and Islamic law, animals for slaughter must be healthy and uninjured at the time of death, which rules out driving a bolt into the brain – though some Muslim authorities accept forms of stunning that can be guaranteed not to kill the animal. Under shechita, the animal’s neck is cut with a surgically sharp knife, severing its major arteries, causing a massive drop in blood pressure followed by death from loss of blood. Supporters say unconsciousness comes instantaneously – the cut itself stunning the animal. A similar procedure is used in Islamic slaughter, or dhabiha. One scientist who has observed closely the work of trained shochets is Dr Temple Grandin of Colorado University, a renowned expert on the humane treatment and slaughter of livestock. Her verdict is that conventional slaughter with preliminary stunning, and religious slaughter without stunning, is both acceptable when conducted properly. 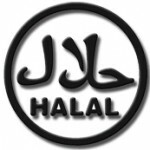 In this discussion between welfare specialists and religious groups, only the aspect of slaughter for human consumption is discussed. The issue of how animals need to be slaughtered during large-scale outbreak situations is completely ignored. The lack of practical solutions inevitable leads to panic reactions. In worst-case, animals are bulldozed alive, under a thick layer of earth. Research at Mississippi State University suggests that the new method has potential as a slaughter method in terms of bird welfare and without disadvantages during subsequent processing, according to Y. Vizzier Thaxton in her paper at the European Symposium on Poultry Welfare in Italy last year. 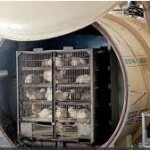 The birds are placed in a sealed cylindrical chamber and the pressure in the chamber “is reduced at a continuous rate to a target decompression pressure for a period of time until a state of death is obtained.” Due to its cruelty, decompression of shelter animals is no longer used in the United States. “Decompression sickness” is an agonizing experience arising from the decompression of a body as it is being depleted of oxygen. December 12, 2012, Manitoba Agriculture News. 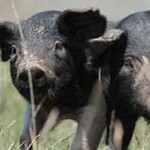 Research conducted by the University of Manitoba has shown nitrogen to be a more practical alternative for mass euthanasia of swine than carbon dioxide. 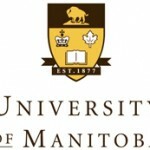 The University of Manitoba in partnership with the Canadian Swine Health Board, Manitoba Pork Council and Manitoba Agriculture Food and Rural Initiatives is developing a mobile mass euthanasia system for swine and poultry. Phase one of the project, which started about a year ago, was to design and test a pilot system and phase two is to design a full sized system. Dr. Qiang Zhang, a professor in Biosystems Engineering with the University of Manitoba, says the pilot system has been tested, it worked well and the next step, once funding has been secured, will be to develop the full size system. The current method of euthanasia is CO2. If you actually use CO2 basically you have to truck in CO2 in bottles from elsewhere to take it to the site, say on a farm. Our system actually uses nitrogen, basically uses pure nitrogen to reduce the oxygen to two percent or lower level so that should actually euthanize any animal. 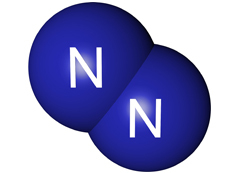 The reason why we’re using nitrogen is because, first nitrogen is abundant in the air. 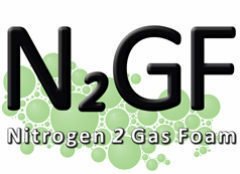 We actually will be looking at an on-site nitrogen generation system to produce our own nitrogen right on the spot. The advantage of that is if you have a large outbreak of disease and if you use the current method of CO2 then there’s simply not enough CO2 supply actually in the province. 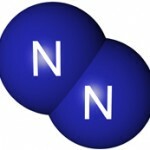 Where do you get the large quantity of nitrogen. Our system actually will avoid that problem by generating our own nitrogen on site. Dr. Zhang says, when using carbon dioxide for euthanasia was to compared to using nitrogen, nitrogen scored much better than carbon dioxide from an animal welfare perspective but in terms of public perception the two were pretty much equal. 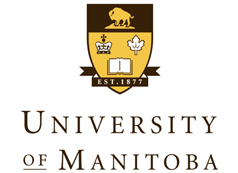 January 8, 2013, The Poultry site, News: CANADA – Research conducted by the University of Manitoba has shown, from an animal welfare perspective, nitrogen is a better alternative for mass euthanasia than carbon dioxide, writes Bruce Cochrane. ‘We actually compared CO2 with our new system. We were looking at the two aspects, one is the animal welfare, the other one is the public perception. Animal welfare is strictly looking from the animal’s point of view. We actually use video tape to observe the behavior of the animals and with a panel of experts we actually score the welfare behavior. Anoxia caused by Nitrogen Foam: an alternative for stunning animals with high concentrations of Co2? 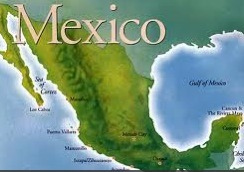 In the International Journal of Pharmacology, a group of Mexican scientists discuss the controversies related to stunning pigs and poultry with of high concentrations of Co2. 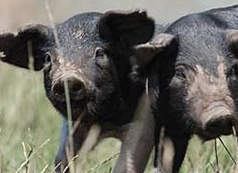 One of the recommendations was: ‘From the perspective of animal welfare, 90% argon by volume, or the lowest possible Co2 concentration to stun a swine is recommended. Argon is suggested as welfare-friendly alternative to carbon dioxide for stunning/killing pigs and poultry’. During this research, 90% Argon in volume in combination with Co2 was reviewed: a combination of gasses resulting to the same as using Nitrogen foam, filled with 98% nitrogen: Anoxia, the total absence of oxygen. Is it fair to suggest that Anoxic Nitrogen Foam would be a reasonable alternative for using high concentrations of Co2? USA, December 10, 2009, A team of experts representing the Humane Society Veterinary Medical Association (HSVMA) and The Humane Society of the United States (HSUS) has submitted comments as part of the review process for the American Veterinary Medical Association (AVMA) Guidelines on Euthanasia. The comments include recommendations for specific changes that support more humane euthanasia methods across a variety of species and a range of scenarios. The AVMA Guidelines on Euthanasia are widely used by government agencies, animal-use industries, animal sanctuaries and animal shelters—both nationally and internationally—as an authoritative reference about euthanasia methods. The HSVMA/HSUS comments include revisions that clarify and fine-tune the document’s general commentary to insure that it supports the most humane euthanasia methods. Revisions are recommended to text addressing specific euthanasia methods as well as to appendices, including tables classifying each method as “acceptable,” “conditionally acceptable,” or “unacceptable” for various species. The suggested changes made by the HSVMA/HSUS are based on currently-available scientific research and knowledge. The HSVMA/HSUS comments, with references, were submitted to Dr. Steven Leary, Chair of the AVMA euthanasia guidelines panel, and Dr. Gail Golab, Director of the AVMA Animal Welfare Division, for consideration and inclusion in the review process. The process, which began this past summer, involves a team of experts assembled by the AVMA from a variety of disciplines and is expected to be complete by the end of 2010. That the professional responsibility of the veterinarian to monitor the animal being euthanized and to insure that death has occurred be explicitly addressed in the Guidelines. That time-to-unconsciousness (and then death) criteria be applied consistently, across physical and non-physical methods of euthanasia. That the fact that animal shelter and wildlife euthanasia methods are often not overseen by veterinarians be explicitly acknowledged. It was also recommended that it be stated that even those methods listed as acceptable or conditionally acceptable in the Guidelines can become unacceptable in practice when implemented in the shelter environment or for free-ranging wildlife due to inadequate staffing levels, training or equipment. 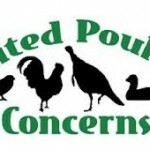 USA, July 6, 2006, Karen Davis, PhD, President UPC – United Poultry Concerns – in a reaction to Dr. Darrel Styles, USDAAPHIS/Animal Care. 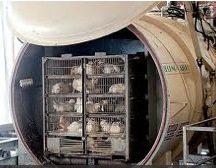 On June 21, 2006, the US Department of Agriculture’s Animal & Plant Health Inspection Service’s Animal Care unit sponsored a meeting on Methods of Mass Depopulation of Poultry. 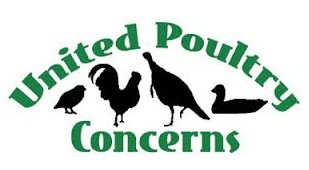 Each nongovernmental organization attending the meeting was asked to submit a summary of their recommendations on how the Department should proceed with its influenza planning in regard to mass depopulation of poultry.